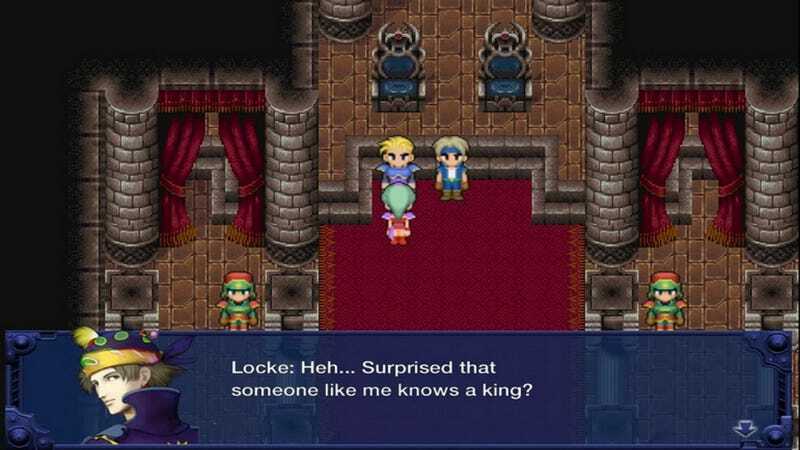 Are you having trouble articulating just why the PC version of Final Fantasy VI looks so terrible? Or, alternatively, do you think it looks just fine and find yourself wondering why everyone’s complaining? Game developer Lars Doucet (Defender’s Quest) has published a great detailed analysis of the smudgy, blurry redesign of Square’s Super Nintendo classic, which launches on Steam today. He points out a number of the flaws that make this new art style feel so off, including blurry filtering and resolution distortion. Inconsistency is the biggest problem here. In the Super Nintendo version, pictured on the left, everything is pixelated, so fudging a few tiles doesn’t make any difference. But in the clearer PC version, pictured on the right, you can clearly see tiling flaws that just shouldn’t be there. Read Doucet’s entire piece if you want the full analysis. If you do want to play Final Fantasy VI, please don’t get it on PC until Square releases a version with proper art. Hunt down the GBA version or play the Super Nintendo Virtual Console port on Wii or Wii U.